Astro-Climate-Connection: What is the Australian Bureau of Meteorology Trying to Hide? Congratulations on this and other recent posts. I see that you receive few comments, but don't take that in a bad way - I think very few poeple can match your scienfific knowledge. Keep up this type of post! Hi Ian, can you provide a link to that data? Preferable non "anomalised" or with the annual "climatology" to add back in. 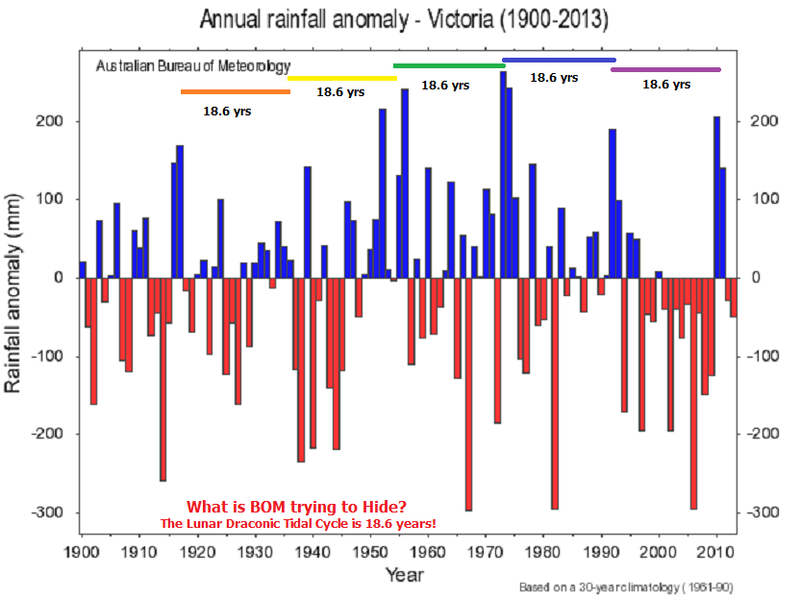 Greg, Go to this URL and put in "Rainfall - Anomaly", "Victoria" and "Monthly. You can get the monthly rainfall data as well as the rainfall anomaly data as well.